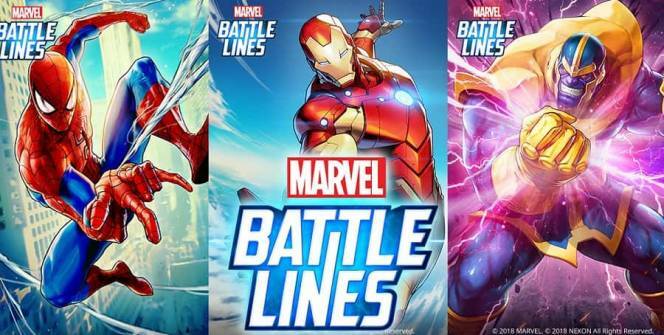 MARVEL Battle Lines is a superhero combat game. It is based on the story line created by Marvel Entertainment and allows you to play as the series’ favorite heroes. 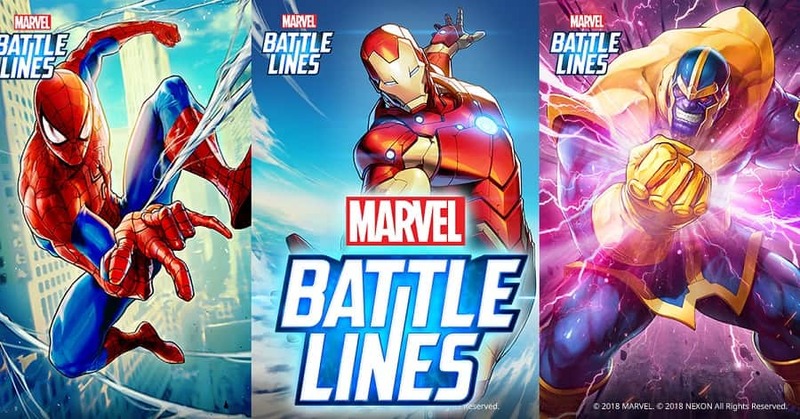 MARVEL Battle Lines is created by the NEXON company. The game’s story starts right after the Cosmic Cube is shattered. The loss of this vital artifact throws the Marvel Universe into chaos. The heroes are forced to band together and save the world by collecting all the shards and putting the Cosmic Cube back together. Gamers will play through the game as a civilian who has been granted super powers by one of the Cosmic Cube’s shards. The player now has the ability to see enemies and other superheroes as playing cards and they battle it out on a field that Iron Man has developed specifically to help him visualize his new powers. The battles play out like a combination of classic trading card games and tic-tac-toe. Players are tasked with lining up their cards just right in order to dole out the highest damage possible. The cards are able to interact with each other which makes it worth your while to play certain ones together. Players will have to deal with a very steep difficulty curve. The enemies start to bring out unbelievably powerful cards that make it nearly impossible to keep playing. You can increase the strength of your own card pack by winning successive battles but the rate at which premium gems are awarded is much slower than what you’ll need to keep up with the enemies. The cards are also wildly unbalanced when it comes to power. The rare cards are much more powerful than standard cards and this adds to the poorly executed difficulty curve. You might be able to win anyway with a lucky draw and trying several times but this means that winning is based more on luck than on your skills as a player. This game features many of the fan favorites from the Marvel Cinematic Universe including Daredevil, Spiderman, Thanos and Doctor Strange. The micro-transaction model punishes people who choose to play for free by making the enemies incredibly difficult to defeat unless you can buy more cards. The price of buying new cards with real-world currency is down-right exploitative and trying to earn new card packs by playing through the game is not very rewarding. 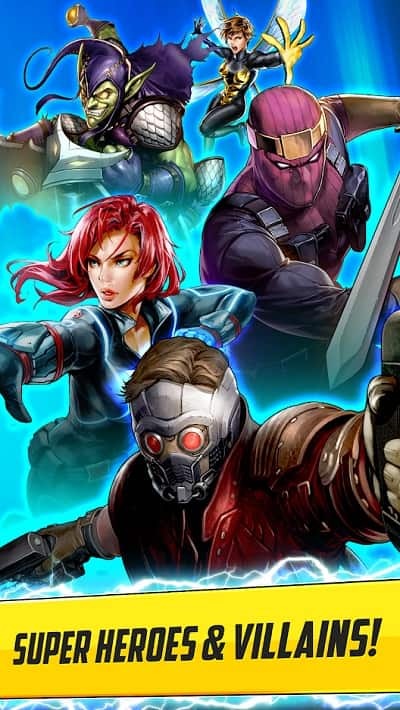 MARVEL Battle Lines follows the trend of many games that are based on hit movies. The developers were clearly trying to cash in on the hype surrounding the Marvel Universe and it shows in their manipulative monetization policies. Their shallow attempt at giving fans a game where they can collect cards of their favorite Marvel heroes quickly falls apart and presents a game that is only concerned with making players pay through their noses. Die-hard Marvel fans may play through this game anyway but even they will feel cheated. You can find much better trading card games such as Pokemon GO if you really enjoy such games but you are better off avoiding MARVEL Battle Lines. Sometimes when playing MARVEL Battle Lines, bluestacks ask you fee to pay but gives you option to download some apps. Every time it asks you just select “Install apps” and continue using it free. I hope you enjoyed this article, please rate and share. If you have problems running MARVEL Battle Lines on your desktop or any other issues, leave a comment below.